After the historic phenomenon both on film and technology that everybody witnessed last year, we never expect that we will be riding our ships again to a familiar planet that we all love. 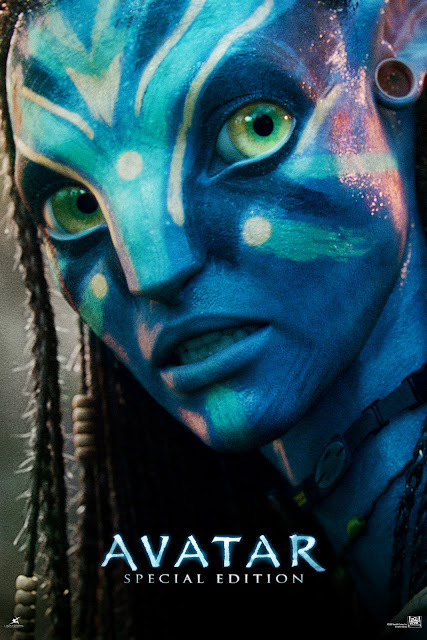 20th Century Fox is proud to announce James Cameron's Avatar's return on the silver screen for the special edition release exclusively on Digital 3D and IMAX Theaters. Los Angeles – 20th Century Fox and James Cameron will re-release “AVATAR: SPECIAL EDITION” starting August 27, in a limited engagement and exclusively in Digital 3D and IMAX 3D cinemas. The Oscar® and Golden Globe® winning epic is the highest grossing film of all time, taking in over $2.7 billion in worldwide box office. It is also the top-selling Blu-ray disc of all time. Director James Cameron takes audiences to a spectacular world beyond imagination, where a reluctant hero embarks on a journey of redemption and discovery as he leads a heroic battle to save a civilization. AVATAR delivers a fully immersive cinematic experience of a new kind, where the revolutionary technology invented to make the film disappear into the emotion of the characters and the epic nature of the story. Return to Pandora and re-experience Cameron’s history-making epic, with more than eight minutes of never before seen footage on August 27 (Friday). Check out 20th Century Fox (Philippines) Facebook page for the latest news and contests.